Today Bitcoin smashed past the $8,000 level, hitting a high of $8,040 on Bitfinex before retreating to $7,900 at time of writing this post. Looks like Bitcoin seems to have a problem with being put down, because each time this tries to happen, it always ends up breaking through and bouncing back even stronger. 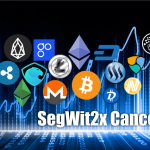 The cancellation of the SegWit2x hard fork about a week ago led to a series of events that saw the price of bitcoin plummeting from $7,800 to as low as $5,500 and bitcoin cash surging from $600 to $2,600. 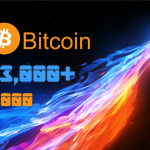 Many bitcoin miners abandoned bitcoin and started mining bitcoin cash leading to high increase of unconfirmed transactions (over 135,000) and a commensurate increase in transaction fees. 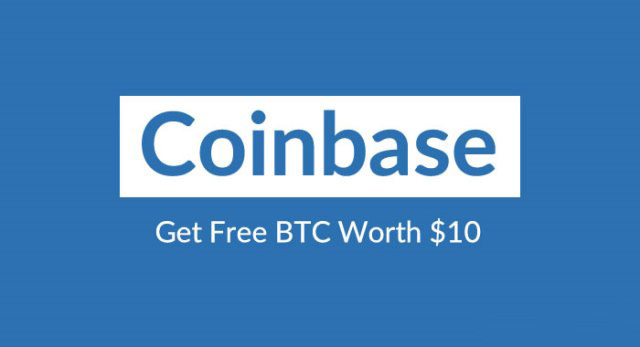 With Bitcoin officially abandoning SegWit2x the only near-term solution to the high transaction fee and scalability crisis and Lightning Network, Bitcoin’s long-term scaling plan still in testing and unready for implementation, things really looked bad for bitcoin. However, as bitcoin cash price started falling, miners switched back to Bitcoin, reducing the transaction backlog and sending bitcoin price up again. 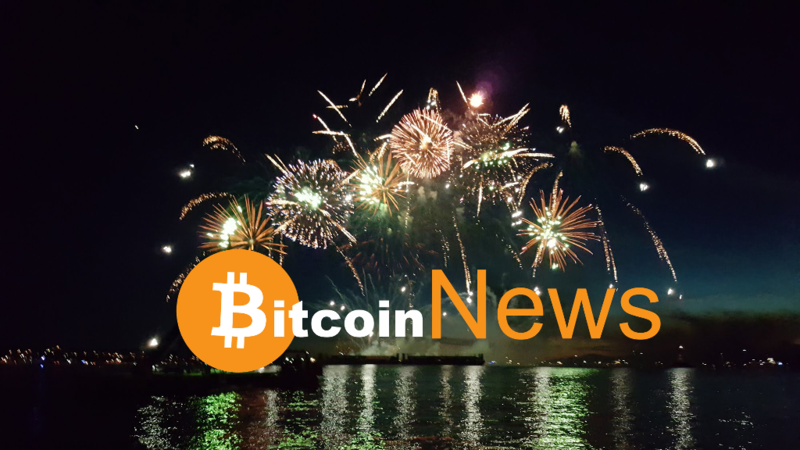 And with the new announcements made recently, Bitcoin surged even more, moving through $6,000 to $7,000 and now $8,000. So, what were these announcements? 1. 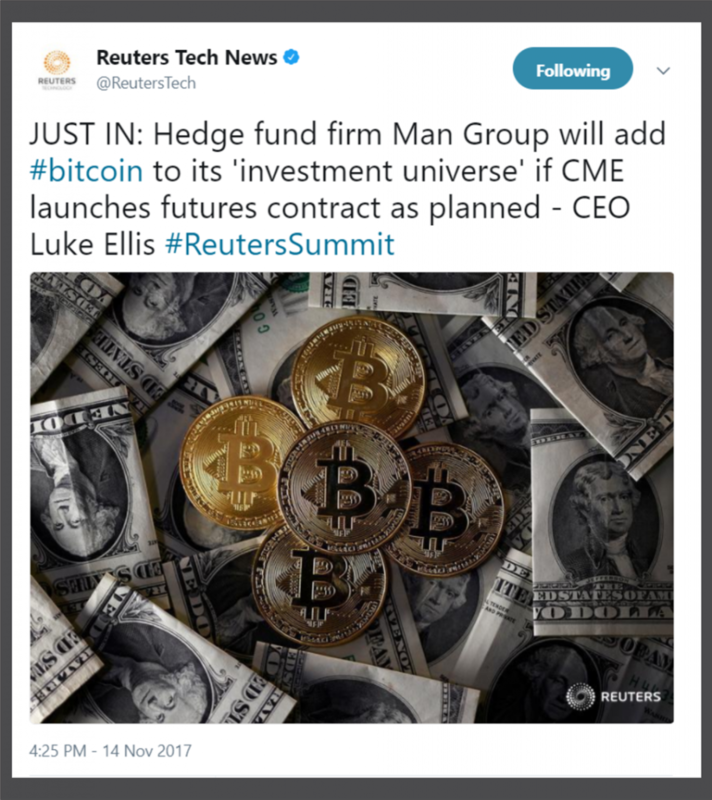 Man Group, the British hedge fund managing over 100 billion dollars in funds, announced they will begin trading Bitcoin once CME launches its Bitcoin futures market, as reported by Reuters. 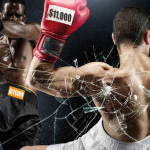 Following the announcement, Square’s market capitalization swelled from15 billion to 16 billion dollars. 3. 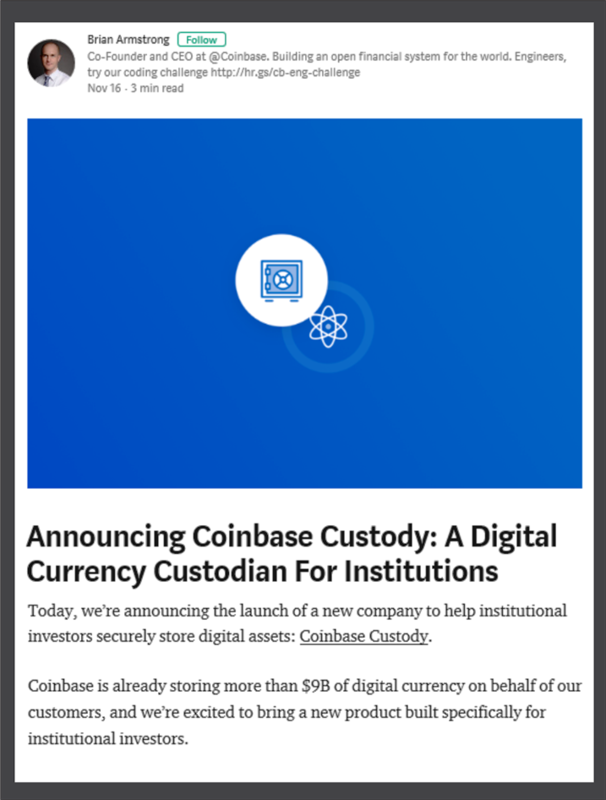 Also, just yesterday Coinbase announced Coinbase Custody, a Bitcoin storage service intended for hedge funds that are interested in investing in Bitcoin. 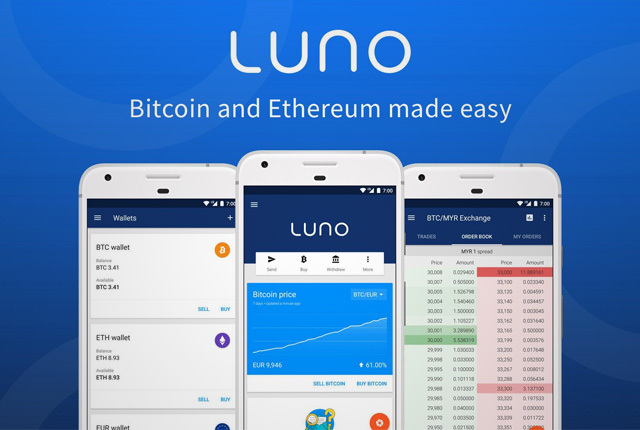 Bitcoins acceptance keeps expanding rapidly on a daily basis, and Bitcoin’s technical analysts who study chart patterns to attempt and predict price moves, suggest that the cryptocurrency is about to experience a significant price move. 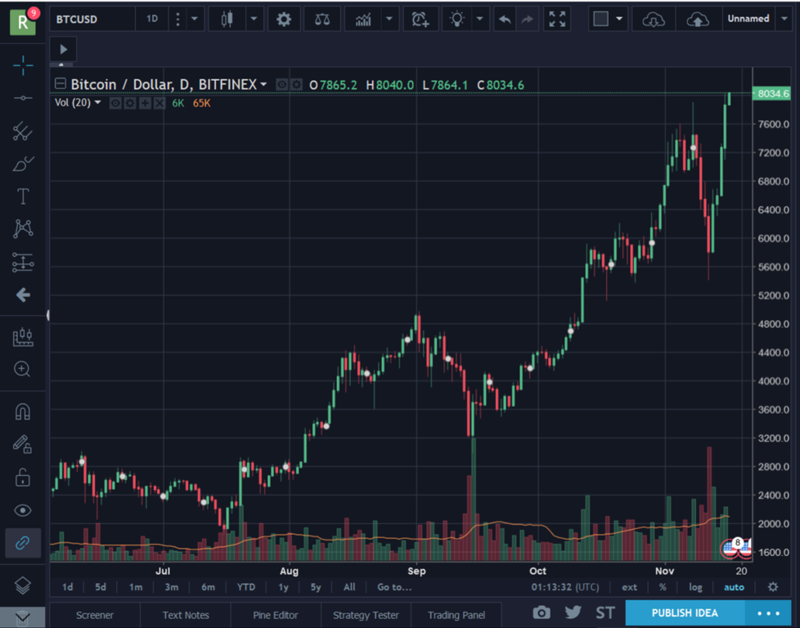 Due to its rapid rise, analysis suggest that the price should see a pullback here at $8,000 to regroup and consolidate before pushing higher.